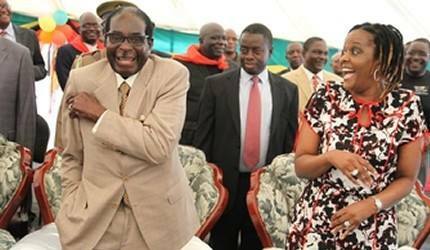 A sceptical nation never believed that, but was willing to give Mugabe and his wife the benefit of doubt. After all, Zimbabwe is in economic doldrums and it would make sense that Mugabe is not wealthy, as the country’s poor and overburdened taxpayer is responsible for his upkeep.However, it is shocking that in spite of this pretense to poverty, Mugabe is willing to splurge over $1,3 million on a diamond ring for his wife. After all, Zimbabwe is in economic doldrums and it would make sense that Mugabe is not wealthy, as the country’s poor and overburdened taxpayer is responsible for his upkeep. However, it is shocking that in spite of this pretense to poverty, Mugabe is willing to splurge over $1,3 million on a diamond ring for his wife. While, Mugabe has every right to buy his wife a 20-year wedding anniversary gift, we find it shattering that the President can chose to be this extravagant when the country is in such an economic mess. There are a million things Mugabe could have done with that money to help a country that is bearing the brunt of his failed economic policies. Right now, millions of Zimbabweans are relying on donors for their survival, thanks to a drought, and Mugabe would have done well to use some of his money to feed the hungry people. How Mugabe and Grace choose to exhibit such opulence, when the rest of the country is suffering is beyond belief. We have always argued that Zimbabwe’s problem is the failure by those in power to get their priorities straight, and this is a glaring example of leadership failure. It feels like a heavy slap across the face for most Zimbabweans that they are forced to cut down on spending, yet the author of their misery continues living a lavish lifestyle. This episode will not help Grace’s image anyhow, as she has a reputation for being the “First Shopper”, with an insatiable desire for all things expensive. However, what makes this leave a bitter taste in the mouth is Grace’s claim that her husband is poor and is in debt. Zimbabweans know what poverty and debt are, and definitely these do not involve spending $1,3 million on a diamond ring. This makes many wonder how much the First Family is spending on other trinkets that do not come out into the public domain. We are living in the age of austerity and the right thing for the Mugabes to do is cut down on their spending in empathy and in solidarity with the rest of the country. To many, this shows that they are out of touch with the rest of the country, where they can spend as much as they want, while Zimbabweans bear the brunt of the economic meltdown.